An extremely fun and competitive social sport, Clay Pigeon Shooting is one of the most popular activities in the UK and Ireland. 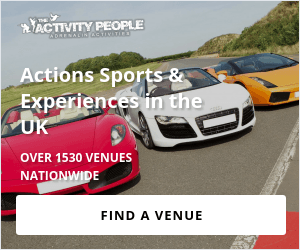 The reason why it’s so popular is that of its ability to accommodate beginners, making it a great event for those that are looking to host a fun group event. Many professional venues across the country provide beginners with expert guidance from qualified instructors, including these here. As a beginner, you’ll learn all the essential tips and tricks needed to smash down the barrage of clays that’ll be launched into the air! With equipment hire also included in the costs, this is the perfect way to introduce yourself to the sport of Clay Pigeon Shooting. The state of the art venues also have an array of facilities to accommodate the experts too. The majority of the shooting ranges have a variety of different shooting styles to choose from – with the angle and speed of which the clays are launched at varying to suit your group’s specific ability.